Congratulations to the Eighth Grade students from our parish school who graduate on Friday, May 25, 2018. 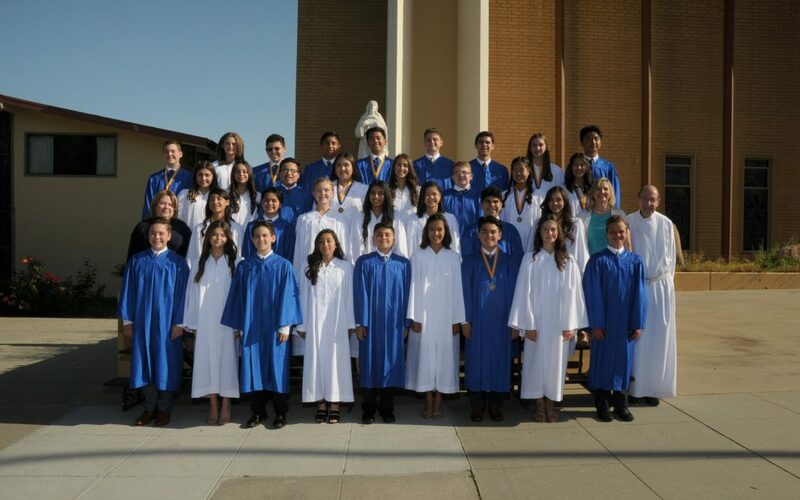 They have received a strong foundation at Assumption of the Blessed Virgin Mary School and are well-equipped to be disciples in a world that desperately needs their gifts. 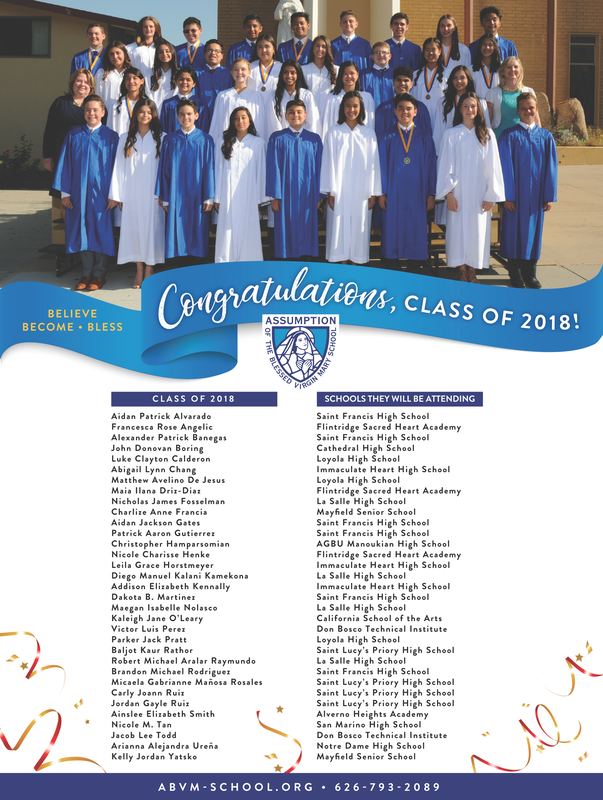 As our students graduate we celebrate not only their achievements, but also the commitment their parents have made in providing years of Catholic education for their children. We congratulate our parents of the Class of 2018. You can be so proud of the find young men and women you have raised. Thanks, too, for all you have been for the Assumption community. We have been blessed by your presence.